Founding member Tom Klein (left) receiving the very well-deserved "Rotarian of the Year" award, presented by current President Cody Bengoa. 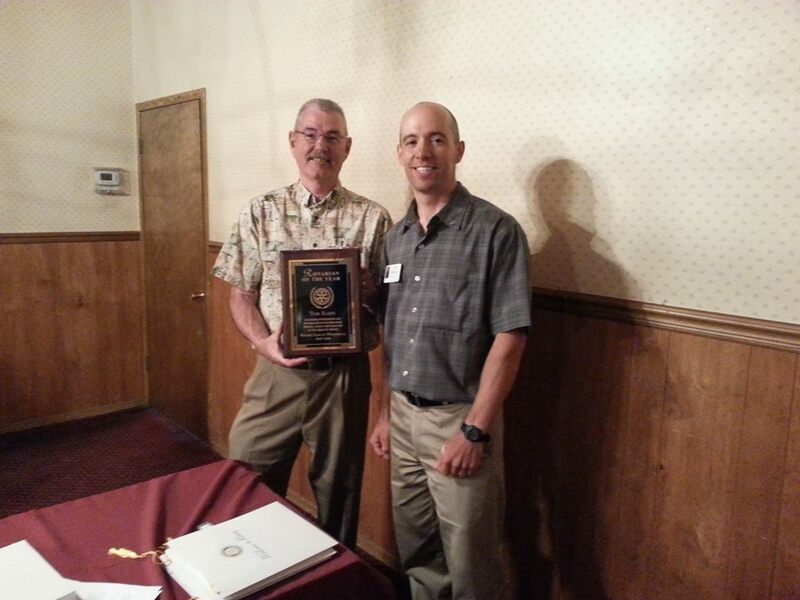 Tom started our Winnemucca Rotary Club 9 years ago, and hasn't stopped since! He works tirelessly throughout the year, ensuring that our club runs flawlessly. We greatly appreciate his hard work, dedication, and service above self. We are so lucky to have you, Tom! Thank you for everything you do in our community and for others!